This is a sponsored post. The reviewer has been compensated in the form of a Best Buy Gift Card and/or received the product/service at a reduced price or for free. Well, it’s official… spring is here! I love this season! It’s a great time to refresh various spaces throughout the house. I have a list that’s a mile long of all the different projects I want to tackle in my home this year. I’m really over the snow! Bring on the sunshine, am I right? Let’s pretend the sun is shining and the temps are in the 60’s. Let’s think about springtime and ponder all the improvements we want to make to our houses. At least for now! 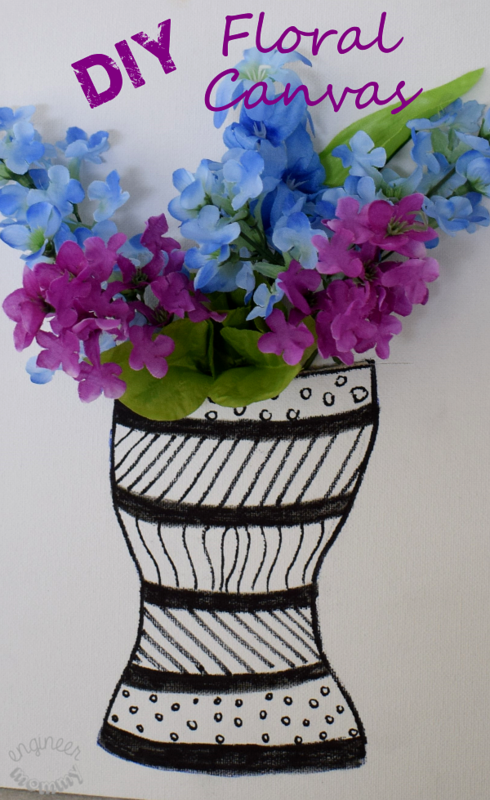 Once march rolls around, I’m always inspired to add festive touches to my home that remind me of spring… like this simple floral wreath made out of an embroidery hoop. 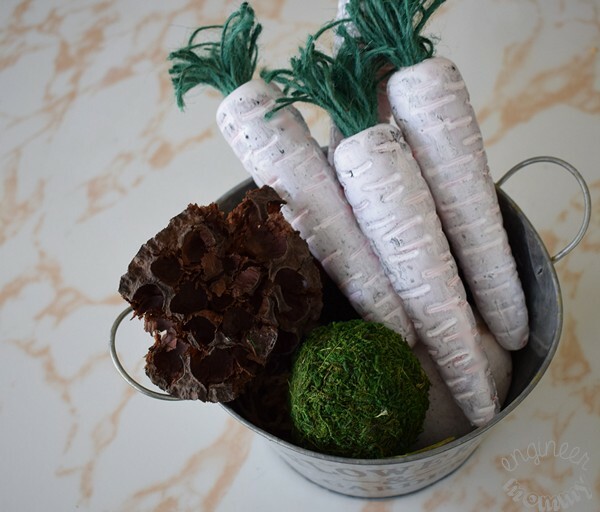 Another favorite project I made recently are these farmhouse carrots that are made from dollar store supplies. Tutorial for this one will be up later today (it’s super easy by the way!) Stay tuned! 2. Improve home theater system! We recently put all our flatscreen TVs on the wall (check out how we used the Lagrande kit from Best Buy) to hide all the wires. 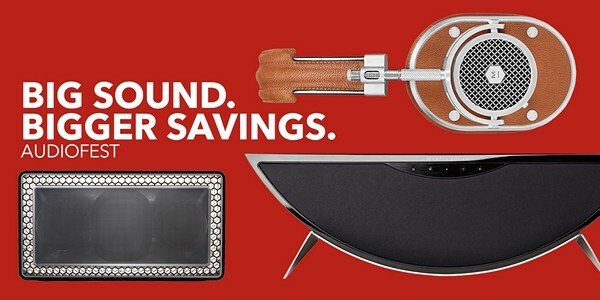 This spring, I really want to upgrade our home audio system – and now is the best time to do it! In fact, Magnolia’s March AudioFest is one month of amazing deals on high-end audio gear. 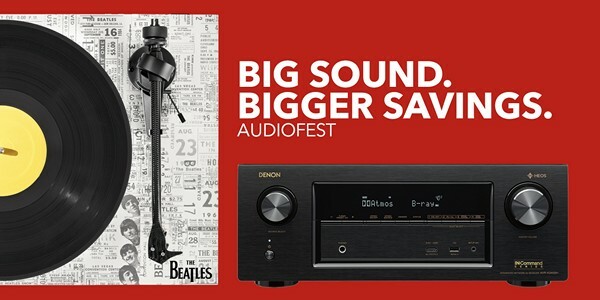 Whether you’re looking for speakers, receivers, wireless gear, headphones or more, get great savings right now at Best Buy. There are special weekly savings and great deals online. Many offers are only valid for a limited time, so it’s best to check in often to find a promotion on the product you’re coveting. I’m excited to upgrade our audio system this March AudioFest! If you’re looking to spruce up your home entertainment system, be sure to pay attention to your audio gear. After all, great sound will take you from watching something to actually experiencing it in a multi-sensory way! If you’re ready to experience audio in a whole new way, check out Magnolia! 3. Retile the kitchen floor! This is something that has been bugging us since we moved into our current home over 2 years ago. 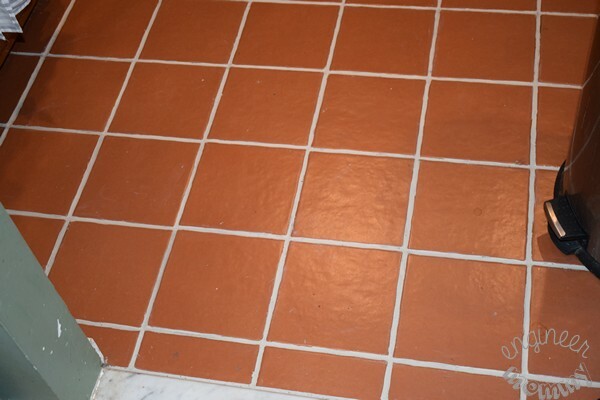 We tried to re-color our grout (I shared the process here in this post) and that worked well to refresh the floor. The problem is that our tile floors in the kitchen are just too dark. And isn’t spring all about light & bright? Yes, it’s definitely time to redo the kitchen flooring! Does anything typify spring more than a satisfying home organization project? I am an organizer at heart! I have lists for everything, I have labels on everything, and I have a plan for all the things! 🙂 Which specific organization projects do I want to tackle in the coming weeks? Well, the garage could use an overhaul. I definitely need to corral all the lawn gear together in one spot, all the outdoor toys together in one spot, all the patio decor in one spot, all the tools in one spot, etc. Another space that is sorely lacking in the organization department is my daughters’ closets. I need to dedicate some time to organizing that space this month. 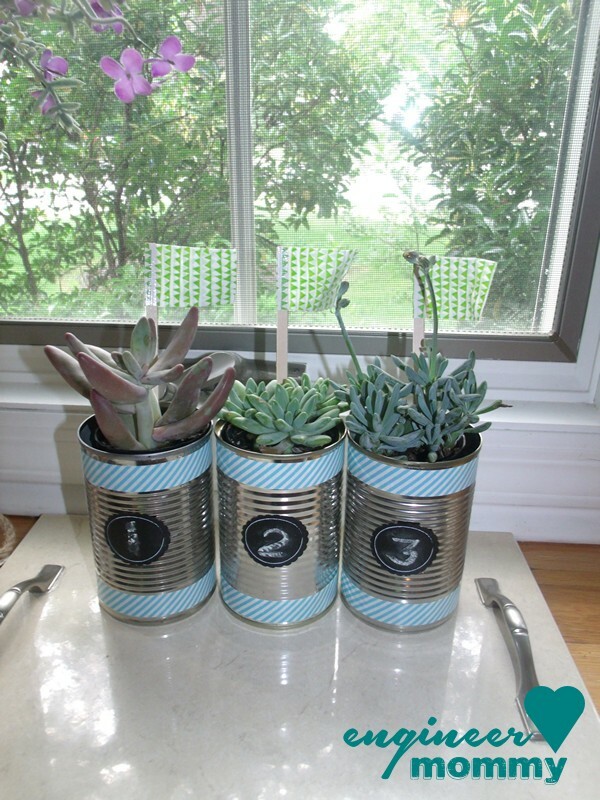 With the warmer months quickly approaching, I am all about plants all over the house. 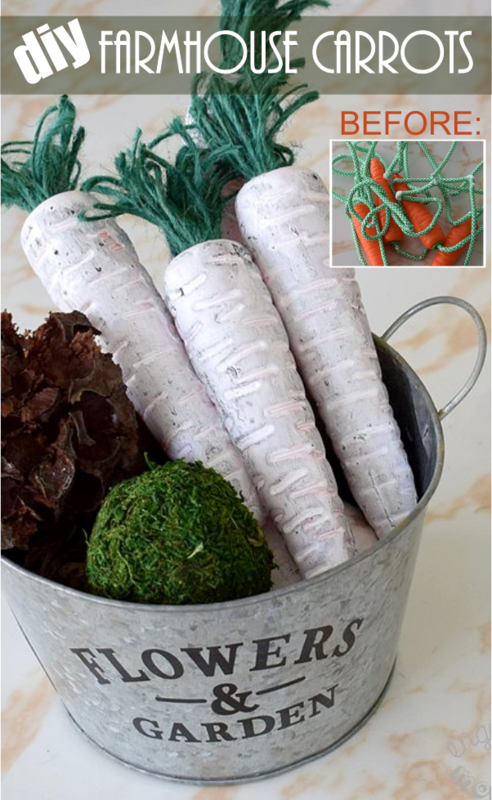 In fact, I think it’s a spring rite of passage for me to make a new planter each spring! Ha! Some things I’m looking to do this spring is make a wooden tabletop planter and fill it with succulents. Yes, I still love succulents! I believe they’re a staple of the farmhouse style – and for good reason! Those individual green leaves are just so darn cute! 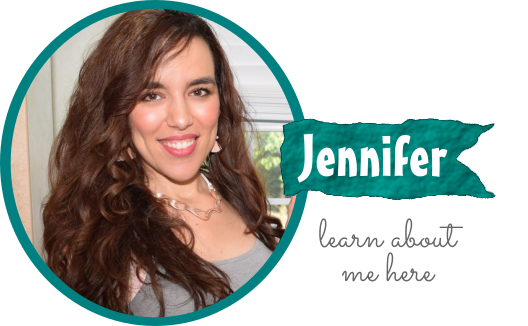 Now that I’ve shared some spring projects on my to-do list, I’d love to hear from you. What are you looking to accomplish this season? Any plans to upgrade your home audio system? We’ve had 3 Noreasters in less than 3 weeks and we just had 14.7 inches of snow here 2 days ago. No spring projects planned here except shoveling. Haha I hear you! We will be shoveling too! Crazy month of March in the Northeast, right? After spring cleaning I always start decorating for spring. Out come the lighter pillows and bedding. Pictures are changed and lighter colors appear. We need a theater system. The sound on our TV STINKS, so we need a sound bar or something. We’ll be checking out Best Buy for one soon. Eventually we will be retiling the kitchen! Once it becomes spring here I am going to be doing a lot of home projects. I just have to wait for the snow to melt so that I can get to the store. I cannot wait for spring to begin. Yes, I just want this snow to melt, too! 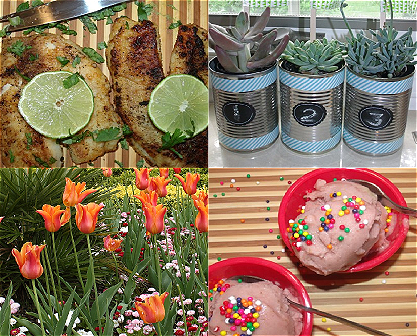 Love your upcoming spring projects! I’m still working on our list. However, I would love to paint our baseboards and start working on our garden. I am so ready for the sun and warm weather. I need to get outside and fix up the flower beds. We got 6 1/2 inches of snow on the first day of Spring 🙁 It’s hard to get in the Spring mood when the weather is yucky. We have a few projects for our house this winter, including a raised flower bed and turning another flower bed into a rock garden type bed.